The tutors listed below will be coaching at our next weekend. Adrian Petcu , was born in Romania and was already well established as a soloist and teacher before coming to Ireland in 1978. Until recently, he held the position of Head of the String Department at the Cork School of Music as well as directing the Chamber and Symphony Orchestras. He regularly gave solo and chamber recitals and led the Jupiter Ensemble and was violinist in the Crawford Piano Trio. A renowned music educator, Adrian has coached at many other Chamber Music courses and workshops including ConCorda, Aravon and Xenia International Chamber Music Course in Italy. He has served as member of the Board of Directors of Music Network, NYOI and IAYO and also served on the String Committees of the Feis Ceoil and the European String Teacher Association, Ireland. William Dowdall was born in Dublin and trained at the Cleveland Institute of Music and returned to Ireland at the age of 21. 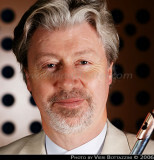 Principal flute in the National Symphony Orchestra of Ireland from 1979 to 2004 and appointed Professor of flute at the Royal Irish Academy of Music, he now combines a busy career as a soloist, chamber musician, and teacher. In addition to a wide ranging repertoire, he has a keen interest in contemporary music and many composers have written works for him. As a solo artist he has made critically-acclaimed recordings for Goasco, Naxos, Marco Polo, Black Box, and Celestial Harmonies labels. He plays on gold and platinum flutes by Brannen, a wooden flute by Abell, and an alto flute by Eva Kingma. Dr Andreea Banciu is the violist/founder of the RTÉ ConTempo Quartet, Galway Ensemble in Residence since 2003 & RTE Quartet in Residence since 2012. She is a lecturer in viola at DIT Conservatory of Music and Drama, Dublin (2017) and a chamber music visiting teacher at the Royal Irish Academy of Music, (2014). She studied viola with Bruno Giuranna, David Takeno, Piero Farulli & Valeriu Pitulac at the Royal Academy of Music in London (where she was holding a three years fellowship), University of Music in Bucharest (BMus), Escuela Superior de Musica Reina Sofia in Madrid (MA), Banff Centre for the Arts in Canada, European Music Academy in Aix-en-Provence, Academia Chigiana in Siena, UL (MA) & CIT(MA). Andreea has won 14 International Prizes in Chamber Music Competitions (including London, Munich, Berlin, Prague, Graz, Hamburg, Rome). She has performed over 2000 concerts around the world, in 42 countries (in venues such as Wigmore Hall London, Berlin Philharmonic, Tel-Aviv Opera House, Gedai Hall Tokyo, Théâtre de Chatelet Paris, NCH Dublin, Palazzo del Quirinale Rome, Auditorium Brussels, Konserthuset Stockholm, LA Beverly Hilton, Atheneum Bucharest, Waterfront Belfast), the Mozart, Haydn, Beethoven, Brahms, Mendelssohn, Schumann, Bartok & Shostakovich String Quartet Cycles and viola concertos (including Bach, Telemann, Mozart, Weber, Elgar, Spohr, Williams & Howells). Andreea had the honour to perform in front of great personalities (Michael D Higgins, Prince Charles, Nelson Mandela, Pope John Paul II, Nobel Prize Winners, EU Ministers & Hollywood Stars). Her connections with the film world include appearances in two movies as a supporting actress ("Trop tard", being selected for the Cannes Festival in France). Last year Andreea was celebrating the 20th Anniversary of ConTempo Quartet through over 100 concerts in Ireland and abroad (including appearances in NCH, Wigmore Hall and Tours in UK, Romania, Ireland, Italy, Finland, Northern Ireland & Sweden). Her latest album “New Airs” went straight to no 3 in the iTunes classical charts. Her recordings can be found on the Universal, Sony, Quartz, Deutsche Schallplatten & NMC labels. On 10th June 2016 Andreea was awarded a Degree of Doctor of Music (honoris causa) by the the National University of Ireland, Galway (NUIG). Dr Adrian Mantu is the cellist/founder of the RTÉ ConTempo Quartet, Galway Ensemble in Residence since 2002 and RTE, Ireland’s National Television & Radio Broadcaster’s Quartet in Residence since 2013. Adrian is the Curator of Our Tunes/Dublin Music Town Festival (since 2014), cello teacher & chamber music visiting teacher at the Royal Irish Academy of Music (since 2015) and the ‘Romanian Cultural Institute’ representative in Ireland. Adrian has won 16 International Prizes in Cello & Chamber Music Competitions (London, Munich, Berlin, Prague, Bucharest, Graz, Hamburg, Sofia, Rome). He studied cello & chamber music with Radu Aldulescu, Laurence Lesser, Zara Nelsova, Marin Cazacu and members of Hagen, Alban Berg, Amadeus, Quartetto Italiano, Emerson & Tokyo String Quartets at the Royal Academy of Music, London (where he was holding a three years Fellowship), University of Music Bucharest (MA), Escuela Superior de Musica Reina Sophia Madrid (MA), CIT (MA), Banff Centre for the Arts Canada, Accademia Chigiana Siena & European Music Academy Aix-en-Provence. Adrian has performed over 2000 concerts around the world in 46 countries (in venus such as Wigmore Hall, Berlin Philharmonic, Tel-Aviv Opera, Carnegie Hall, Gedai Tokyo, NCH) including the Mozart, Haydn, Beethoven, Brahms, Mendelssohn, Schumann, Bartok & Shostakovich String Quartet Cycles and the essential cello concertos (including PhE & Ch Bach, Handel, Boccherini, Vivaldi, Haydn, Beethoven, Tschaikovsky, Brahms, Lalo, Saint-Saens, Elgar, Schumann, Dvorak, Williams, Bernstein, Piazzolla, Constantinescu and Dimitrescu). Adrian had the honour to perform in front of great personalities (Michael D Higgins, Prince Charles, Nelson Mandela, Pope John Paul II, Nobel Prize Winners & Hollywood Stars). He has composed and arranged the music for the “Trop Tard” film (selected for Cannes Fest) and recorded the music for Steven Spielberg & Tom Hank’s “Band of Brothers”. Adrian was celebrating last season the 20th Anniversary of Contempo Quartet through over 100 concerts in Ireland and abroad (including appearances in NCH, Wigmore Hall and Tours in UK, Romania, NI, Ireland, Italy, Sweden & Finland). He performs equally on baroque, modern & electric cellos. His latest album “New Airs” went straight to no 3 in the iTunes classical charts! His recordings can be found on the Universal, Sony, Quartz, Deutsche Schallplatten & NMC labels. Since joining the Royal Academy Adrian was involved in many wonderful RIAM projects (Stravinsky weekend, Wigmore Hall 1916 events, The Lynch Junior string quartets programme) collaborating with RIAM’s Orchestras, Junior/Senior String Quartets, Composition Students, Cello students and RIAM’s Alumni in different workshops, concerts, master-classes & lectures. In 2015 he started a DMusPerf at Trinity/RIAM focussing on the string quartet literature in Ireland, since the Rising. On 10th June 2016 Adrian and his colleagues from the RTÉ ConTempo Quartet were awarded a Degree of Doctor of Music (honoris causa) by the the National University of Ireland, Galway (NUIG).